Need help with first dance at wedding. I'm new to the area and enjoy dancing with a partner. I am a senior and looking for group lessons. Would like an instructor to come to our house to teach my husband and me ballroom dancing. We are available during the day. Also interested in group lessons on Wednesday, Thursday or Friday night. We have had some lessons in the past. 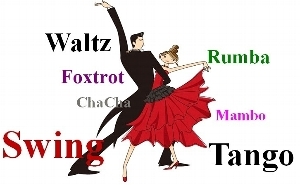 Me and my partner would like to take ballroom lessons. He is a beginner and I have a dance background.